The VI Peel improves tone, texture and clarity of the skin, while also reducing or eliminating age spots, freckles and hyperpigmentation (including melasma). It also reduces pore size and helps clear acne conditions. This peel will also promote the stimulation of collagen for firmer skin, as well as softening fine lines and wrinkles. The VI Peel is virtually painless and takes approximately 20 minutes. Little to no skin preparation needed (sunscreen only). 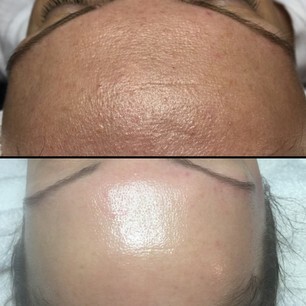 Healing and downtime is minimal and lasts 7 days. A series of 2-4 treatments is recommended. Karen Allen talks about the VI Peel with Real Housewives Of Beverly Hills star Taylor Armstrong. You will also get to watch her get a VI Peel done!